Born on October 6, 1923, in Petrograd (now St Petersburg). In September of 1940, was admitted to Leningrad State University, the Faculty of Oriental Studies, the Department of Iranian Philology. In June of 1941, completed the first year of his study. From June 24, 1941, took part in World War 2, including fightings aroud Leningrad, Tver and on the 1st Belorussian front. On October 28, 1945, demobilized from the army as Sergeant Major, decorated with an Soviet award and 17 military medals. On November 5, 1945, resumed his place at Leningrad University. In June of 1948, graduated from it. From November of 1948 to February of 1952, took doctoral course at the Institute of Oriental Studies, the USSR Academy of Sciences. On May 5, 1952, defended the PhD dissertation entitled Pronouns in Afghan Pushtu [Местоимения в афганском языке (пашто)]. From May 28, 1952, to April 3, 1958, worked at the Institute of Language and Literature of the Tajikistan Academy of Sciences as a senior researcher, headed the Department of the Tajik Language. At the same time, delivered lectures on the history of Persian and Tajik, and the historical-comparative Grammar of Iranian languages at the Dushanbe Institute of Pedagogy. From April 5, 1958, up to January 2016 worked at the Leningrad/St Petersburg Branch of the Institute of Oriental Studies - the IOM RAS (now as a chief researcher). In October of 1965, defended his monograph The Sogdian Documents from Mount Mugh. Issue 2: Juridical Documents and Letters [Согдийские документы с горы Муг. Выпуск 2: юридические документы и письма] as the Habilitation dissertation. 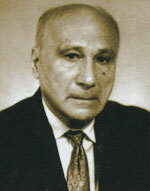 In 1979, was ranked as a professor of the Persian language. Supervised 18 PhD dissertations and 3 Habilitation dissertations. In 1977, elected a corresponding member of the British Academy, in 1992, an honorary member of the Russian Academy of Natural Sciences, the Encyclopedias Department. A corresponding member of the Italian Institute of Near Eastern and African Studies, member of the Internation Committee editing Corpus Inscriptionum Iranicarum, London. In 2006, Dr V.Livshits was given the S.F.Oldenburg award for achievements in the area of humanitarian and social sciences for 2006 from the government of St Petersburg and the St Petersburg Academic Center of the RAS.